Cut the ribs to the desired size. Mix the Crazy Good BBQ Rub with olive oil in a small bowl and then rub this over all of the ribs. Put the ribs in a roasting pan with water. Seal tight with parchment then foil, back at 350 F for 2 ½ hours. Combine the BBQ sauce, maple syrup/brown sugar and Crazy Good BBQ Rub together to make the sauce mixture. 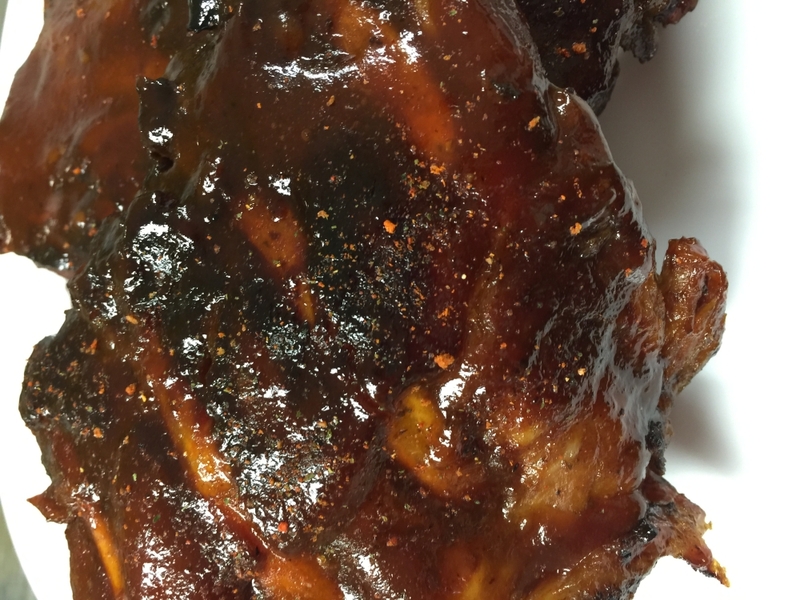 Take ribs out of the roasting pan, place on a cookie sheet lined with parchment paper and brush on sauce mixture. Bake at 425 F for 5 to 10 minutes, or BBQ on high for 5 minutes.